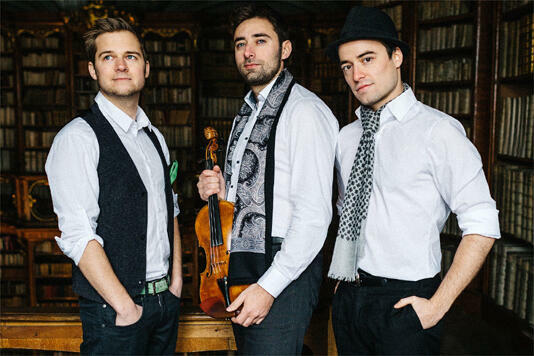 On 2nd October as a warm-up before the festival Guitar Masters 2016, in a picturesque setting of the historic Session Room of the Wrocław Main Station will perform the Austrian trio Cobario. 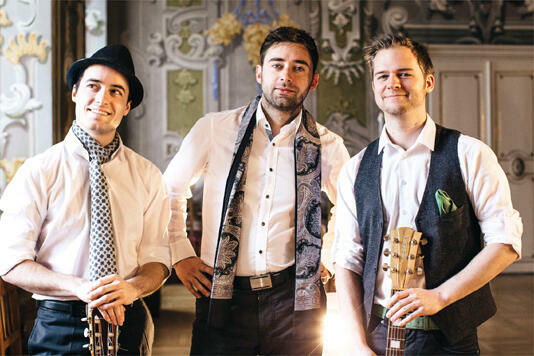 The band consists of the guitarists Georg Aichberger aka "Giorgio Rovere“ and Jakob Lackner aka "El Coba” and the violinist Herwig Schaffner aka "Herwigos”. 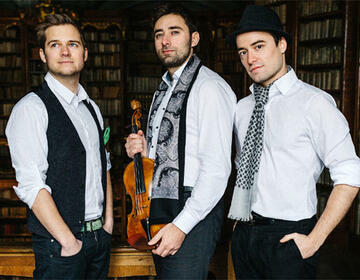 The trio plays world music and has got a really diversified repertoire, which may be called "Gipsy classics". In their music can be found various styles: flamenco, Gipsy music, Slavic music, Celtic music, Asian music and contemporary music. All these inspirations contribute to the original and yet familiar to the audience, Cobario sound. The wonderful energy and enthusiasm of the musicians continue to delight folk music lovers.The concert by Cobario is an opportunity to get away from the dreary existence of everyday life and go on an amazing journey across the sounds of world music. Herwig Schaffner ("Herwigos”), a violinist and composer, started to learn the violin and the guitar at the age of eight. As early as at the age of sixteen he was accepted into the prestigious Universität Mozarteum Salzburg. He has played in various orchestras, including European Youth Orchestra. He has performed under such famous conductors as Yehudi Menuhin and Sandor Vegh. Apart from a career of an instrumentalist, he is also a composer. The performances of his compositions for a string quartet and symphony orchestra proved to be very successful. 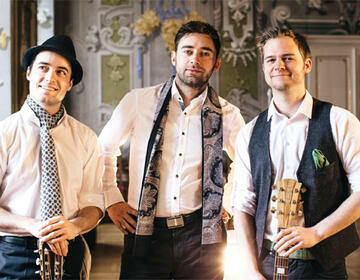 Georg Aichberger ("Giorgio Rovere“), is a guitarist, who has been in the band the shortest. Since he started playing the guitar as a teenager, he became fascinated by the variety of sounds, offered by this instrument. After a few years of self-teaching he joined Universität für Musik und darstellende Kunst Wien, where he was taught by Arnoldo Moreno. Then he studied in Sydney. Before he met El Coba and Herwigos from Cobario in 2014, he performed with several bands, playing various music genres. Jakob Lackner ("El Coba”), a guitarist and a cofounder of the trio Cobario, is as great an enthusiast of the guitar as Giorgio Rovere. He also started out as a self-taught artist and later became a student of Bernhard Schnabel (class of classical guitar), Erich Zinner (class of electric guitar), as well as the famous Austrian guitarist and composer Peter Ratzenbeck. He also worked on various musical projects until he met Rio Che, with whom he cofounded the band Cobario.